They should have insurance to make sure the compensation and liability. 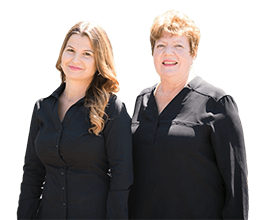 In case that there are injuries or accidents, you are not liable for any harm. You should choose a local contractor. They should have a reputation in the business and your community. You should take note of their price and the services they can offer. 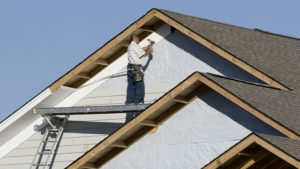 Good feedbacks or reviews can help you in choosing the right roofer. A professional roofer can do a roof repair. They can fix plumbing vent boots, and they will check for cracks and metal bases for broken vents. They are also responsible for monitoring the cracked in roofs and look for missing nails on it. There is complex roof problem also during snow, winter, and storm. Fixing holes in the ceiling is also their responsibility. Leaks around chimneys, they can also fix that in your roof. A lot of problems in your roof can be handled by them because roofers already experienced a lot in doing their job. 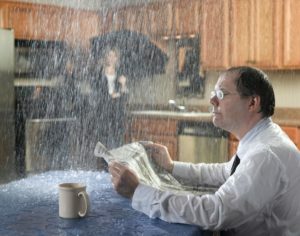 Roof leak repair is also the job of a roofer. If you found a hole in your roof, you have to fix it immediately. Leak in your roof can lead to a big and a lot of problems such as rotting, mold, sheathing and destroy or damaging of ceilings. They are responsible for finding the leaks so that when storms arise, you are protected enough. The solution for a small hole is also their work. Some holes are hard to locate, and a roofer can easily find leaks in your ceiling because they are knowledgeable and well-experienced in their job.